Habitat for Humanity Lake County has received a 4-star rating from Charity Navigator. Join Habitat for Humanity Lake County Women Build today! 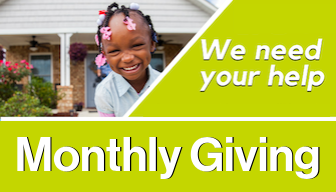 Donate today to make a Partner Family's dream of owning a home a reality! every purchase helps Habitat build! Shop Amazon Smile today.